I’m tired-high and mostly keeping up with my travel companions in London as we make memories in this wonderful city. In a few days, I’ll be home again where I intend to rest (perhaps for DAYS!) in our bedroom below with the quilted coverlets. 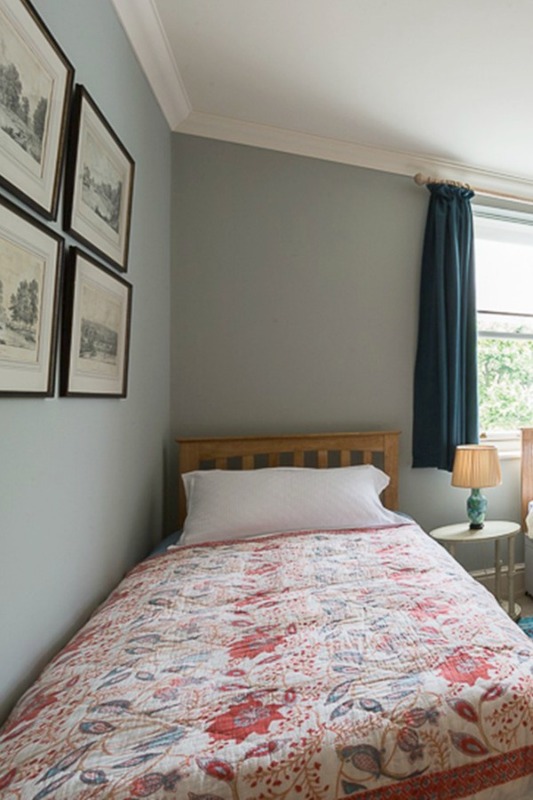 Quilts are on my mind at the moment since admiring a pretty one in a bedroom of the home we’re renting. See more of my home. Hello Lovely Studio. Fall Decor Inspiration: Quilts. I need to get a better photo so you can see the detail and color, but it’s truly a gorgeous quilt with a Scandinavian feel. Pretty Scandinavian style quilt in the second bedroom of the flat we’re renting in London. Fall Decor Inspiration: Quilts. 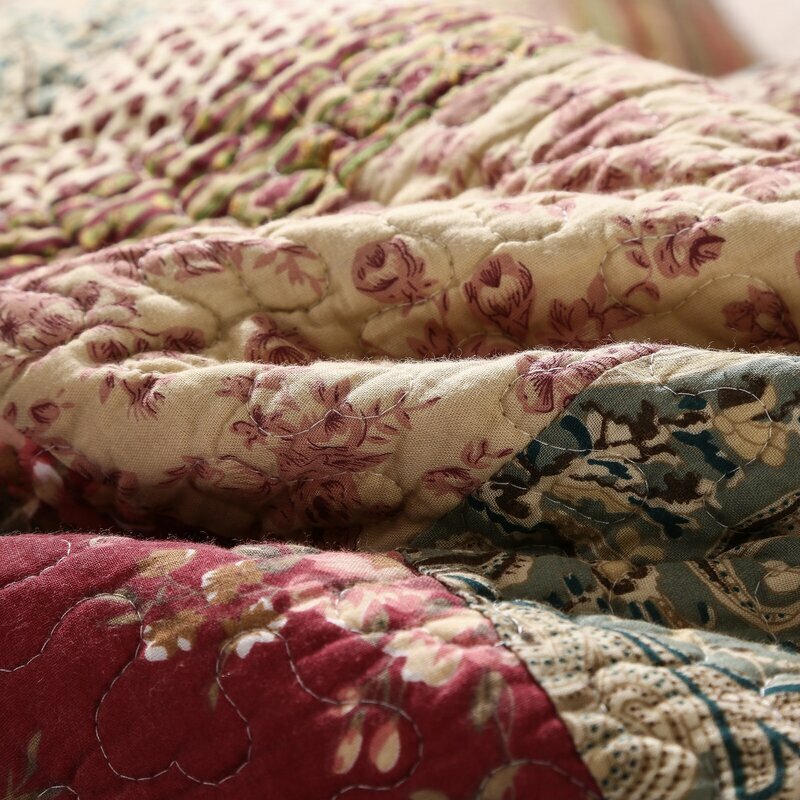 Need a pretty quilt for chilly fall and winter evenings in your own castle? Some of the links in this post are affiliate links, and I hope you will use them since they won’t cost you extra yet may earn this blog a small commission. Quilt Set: FIND HERE. Fall Decor Inspiration: Quilts. 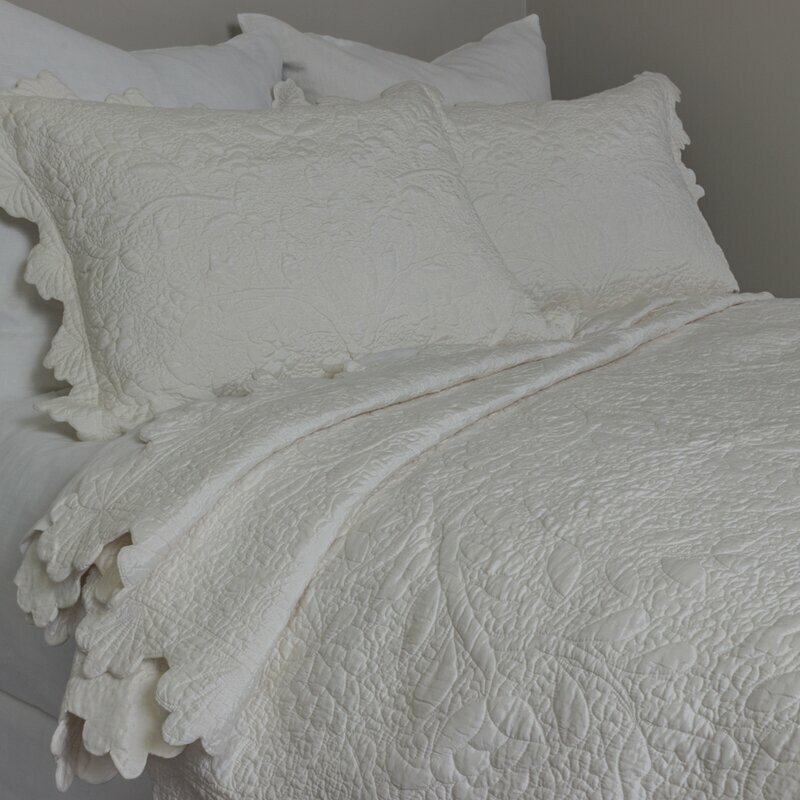 Seychelles Cotton Quilt: FIND HERE. 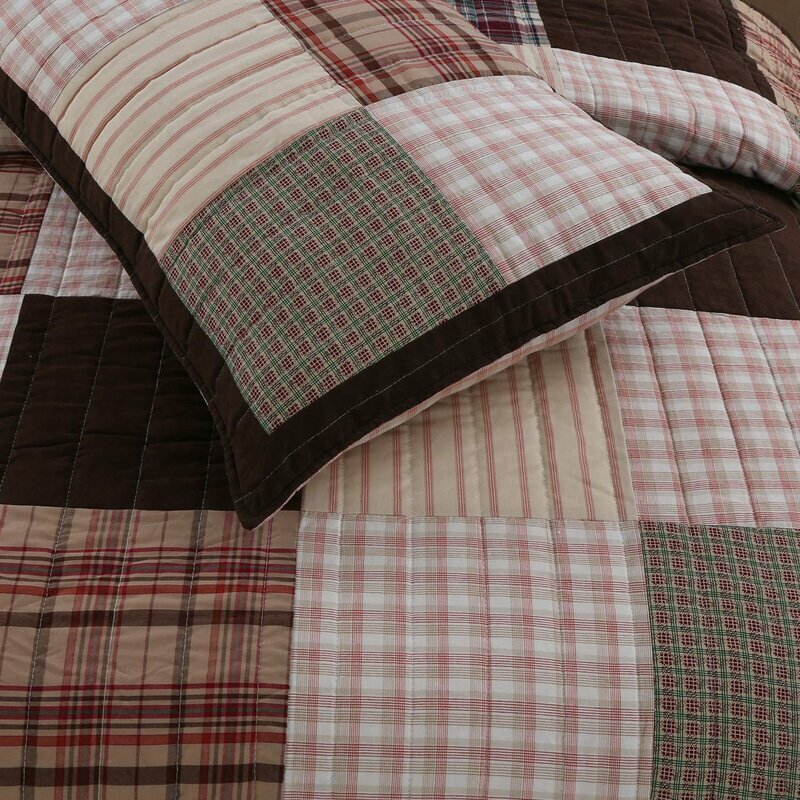 Patchwork Quilt Set: FIND HERE. Fall Decor Inspiration: Quilts. 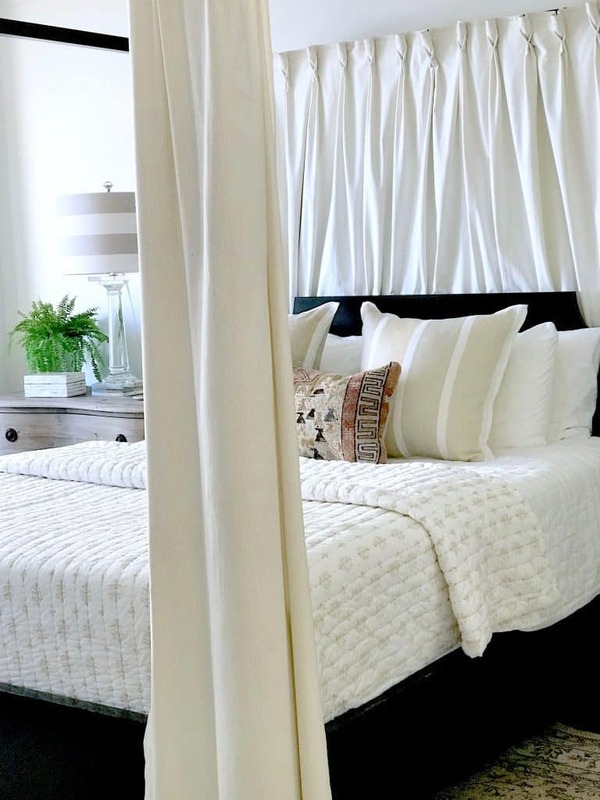 White Quilt Set: FIND HERE. 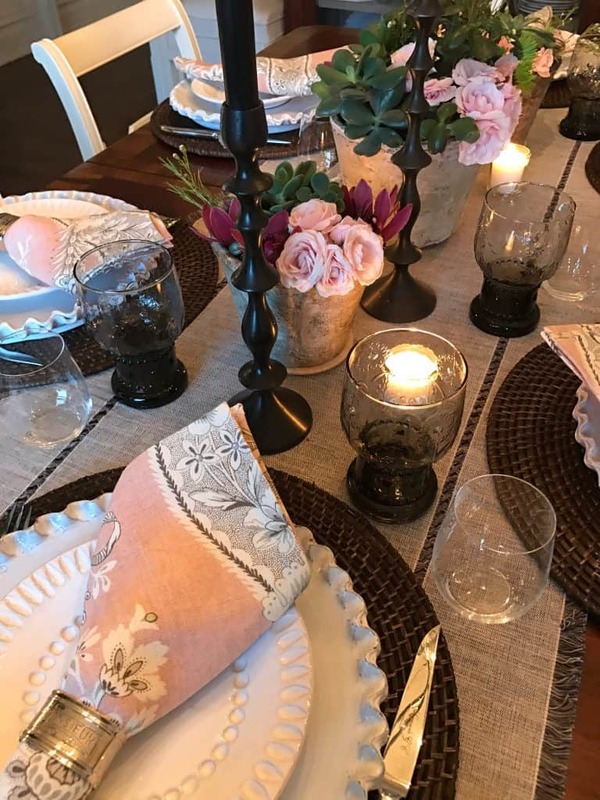 I’m a big fan of neutral linens (big surprise! 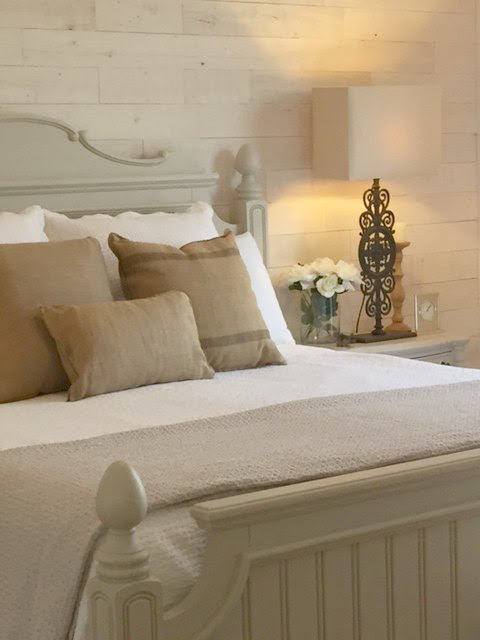 ), and Mary Ann’s (Classic Casual Home) beautiful bedroom shared with us last fall is just my style! Photo/Design: Classic Casual Home. Fall Inspiration: Classic Decor. Then she went and made me love it even more! Notice how she updated the quilt (below) which you can read about RIGHT HERE. 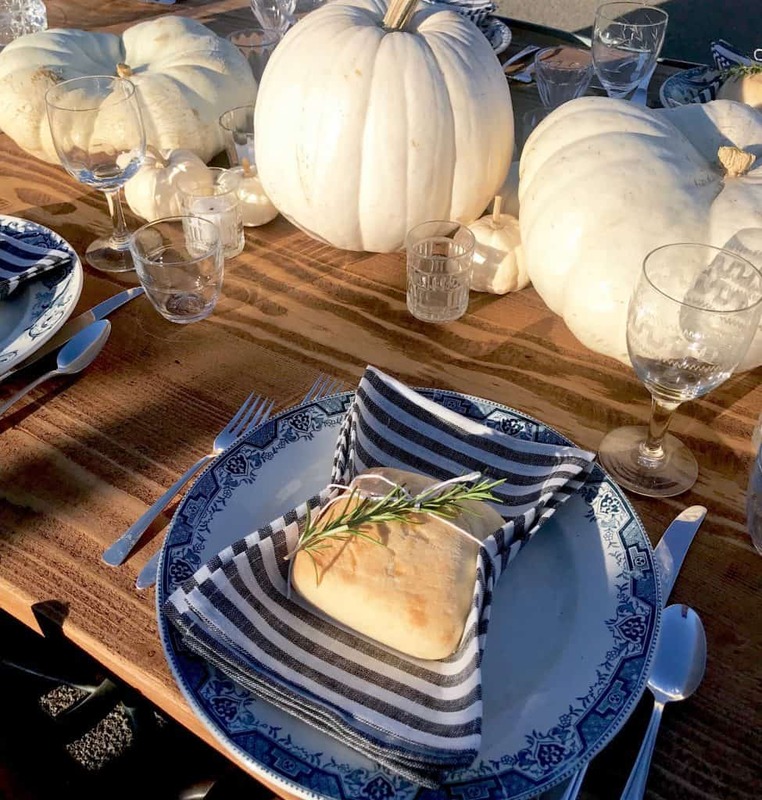 Speaking of Mary Ann and her love of quilts…look what she did with this special one from India for a fall tablescape! Photo/Design: Classic Casual Home. 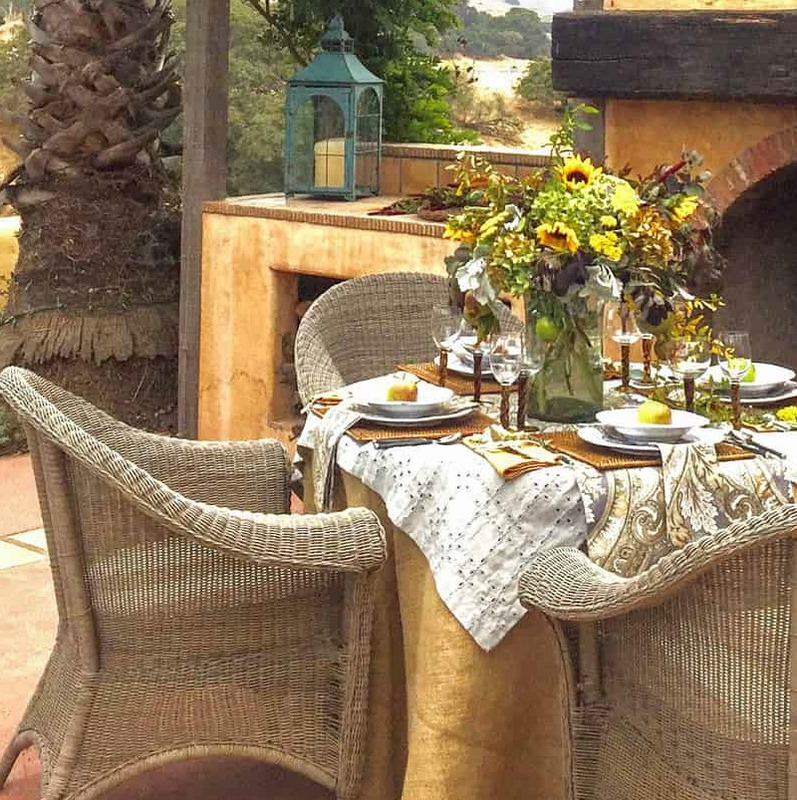 Fall Inspiration: Classic Fall Tablescape. 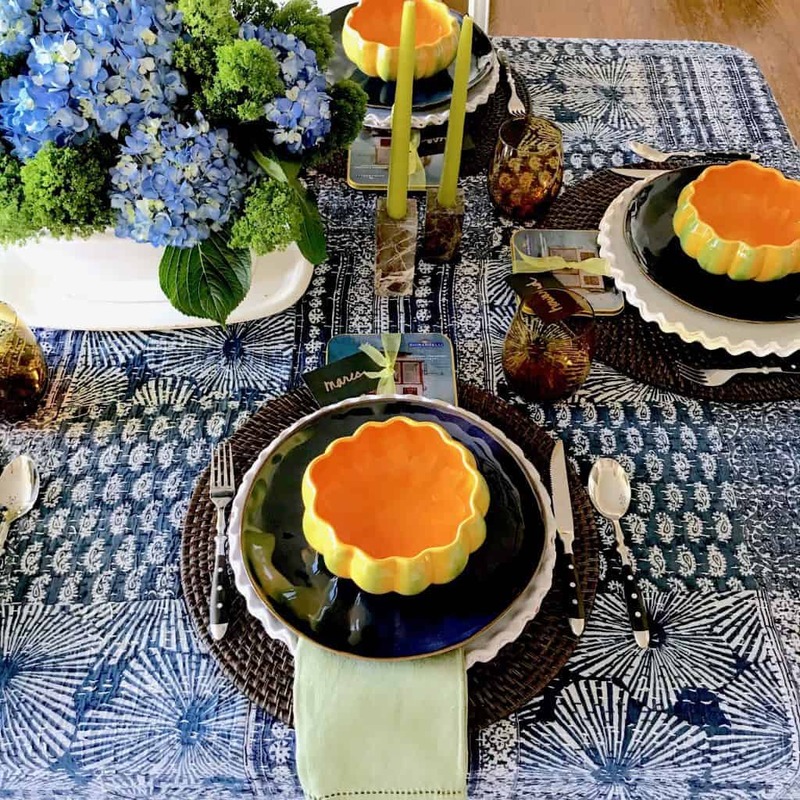 As one of the sweet shining lights in blogland and a talented designer of classic, casual, and lovely interiors, Mary Ann stopped by last fall. 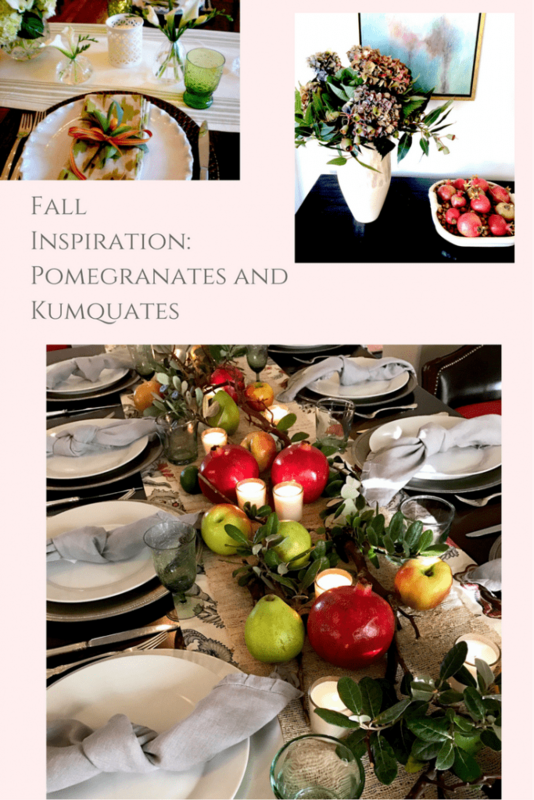 She shared beautiful fall tablescape ideas in time for Thanksgiving, and I thought we could check in with her a year later! 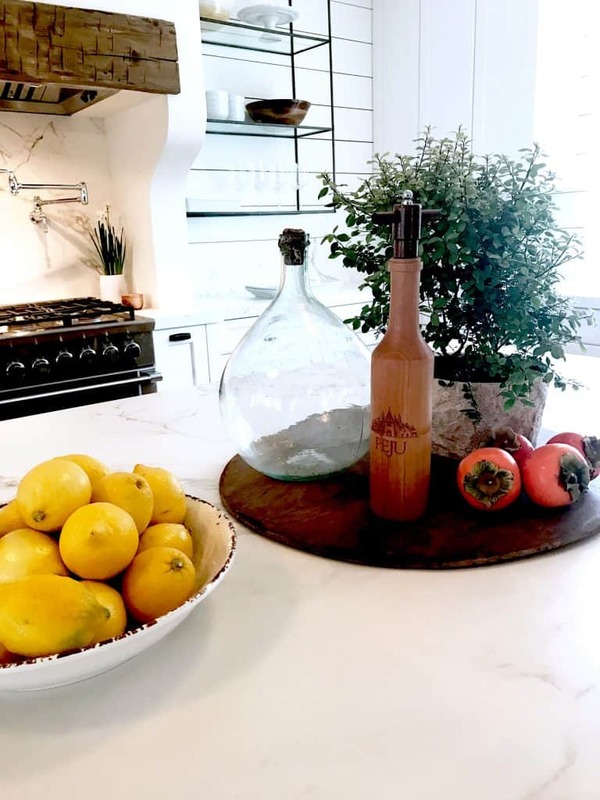 Based in San Francisco, Mary Ann creates spaces that reflect her clients’ personalities by retaining items they already own while adding fresh appeal. 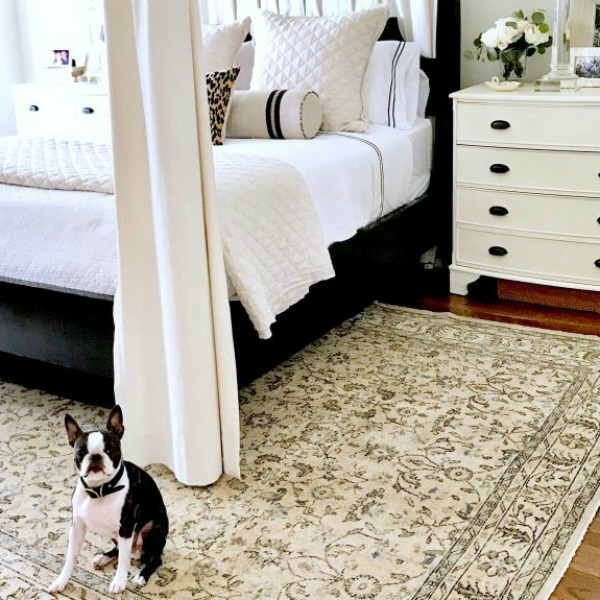 On her blog, shes shares wonderful makeover stories, favorite finds, and lifestyle. I love Mary Ann’s skillful strokes of simple elegance! Can’t wait to share lots of fall inspiration from London with you very soon! 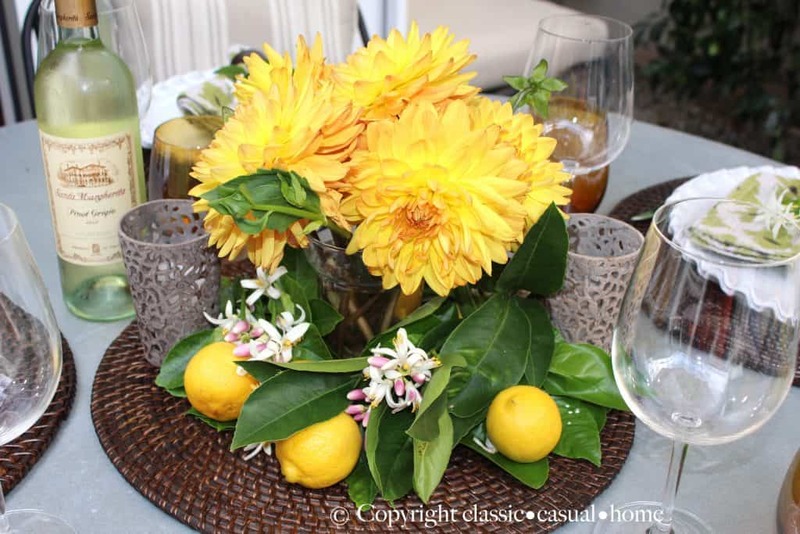 If you missed THIS Fall tablescape story, do give it some love! And don’t forget to save beautiful HOLIDAY INSPIRATION here! This morning we began the day with a short stroll to peek at (the late) Freddie Mercury’s estate. Oh goodness, what a property and neighborhood in Kensington! While in the neighborhood, we may have run into Freddie’s life-long friend, Mary, to whom he bequeathed the manse! While we didn’t get to see the home’s interiors up close and personal, tonight, we were able to see them on the silver screen (think Versailles style!) within the bittersweet “Bohemian Rhapsody.” I loved seeing the movie in London, and it will be in USA theatres soon. Quilts are so awesome this time of year and while I love a white quilt, the colorful ones seem cozier! I hope you have a great time in London. Don’t let yourself get too tired though. You’re still in the mend, my friend! Travelling is tiring at the best of times. My bed is always calling me by the end of any trip, no matter how enjoyable. You’ll fall into that lovely bed once you get home and feel pure bliss. I find quilts too heavy, preferring down filled duvets. I do like the look though and have one on each bed that can be removed for sleeping, if desired.